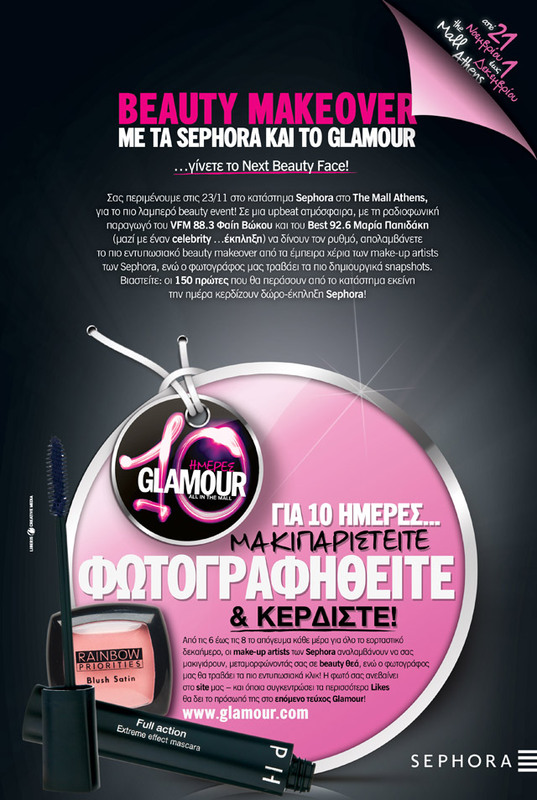 Today starts the celebrating of 10 years Glamour magazine for 10 days at The Mall Athens. Every afternoon from 18:00 to 20:00 Make up artists from Sephora do a beauty makeover to make you the Next Beauty Face. Your photo will be on the site of Sephora and the one with the most likes will be published in Glamour magazine.